If you want to day-trade your way to a small fortune… start with a large fortune. Almost certainly this is the case if you are a “retail trader” battling it out with the markets from the comfort of your own home. The old adage is that 90% of retail traders lose money. If there is more than a shred of truth to that, might there be value in closely monitoring how those retailers are positioned in the markets? In recent months/years a handful of forex brokers and affiliated sites have made publicly available the breakdown of those retail clients who are long, against those who are short. For a short while now I have been keeping my eye on the retail positions in the major currency pairs: I wonder if they can provide any clues as to what the market will do next? Invariably the retail crowd tend to bet against the market trend. One thing that is particularly striking about retail behaviour is the tendency to bet against the prevailing trend. The typical retailer, it seems, is absolutely determined to pick the top and bottom of the market. 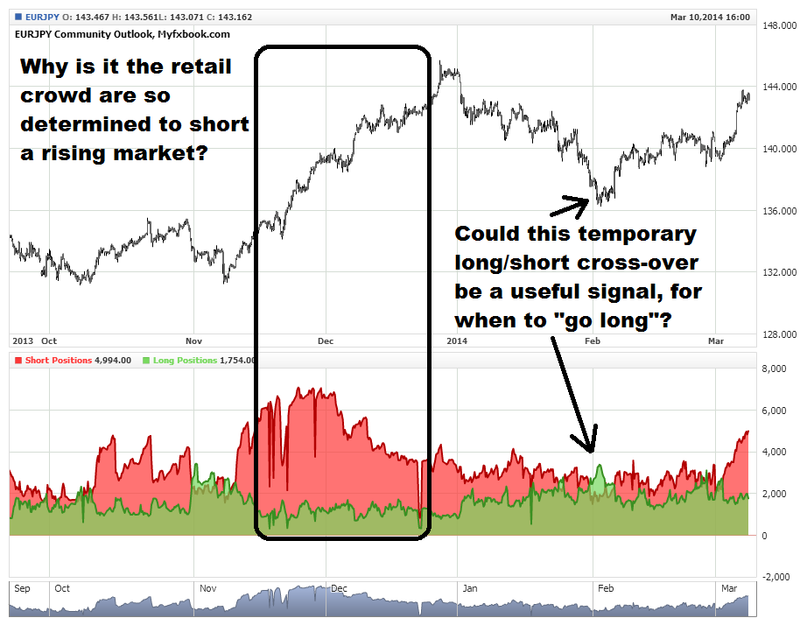 Could the temporary “long/short cross-over” be a useful signal? 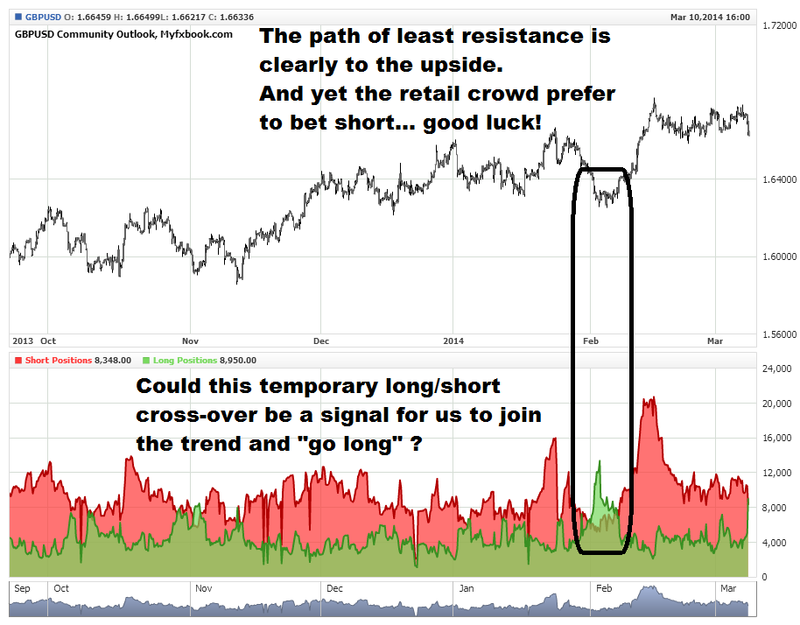 This entry was posted in Forex: Retail Positioning. Bookmark the permalink.